At the time, I resented this. It felt like the bit at the end of a youth club meeting where you’ve watched the Star Wars film and then the group leader reminds everyone that none of it’s real and then we have a prayer. It seemed unnecessarily… parental, this reminder that Doctor Who was ‘only a television programme’. Patronising, even: a way of drawing a line that I was apparently unable to draw myself – stating the obvious and reminding everyone that it was, despite everything else, a church group; that there was only one thing that any of us ought to be worshipping, and he didn’t come with his own TARDIS. 30 months down the line, I’ve come to the inescapable conclusion that it was something I probably needed to hear. Because there was an obsessiveness about my enthusiasm for Who. It was getting in the way of things. John Levene, incidentally, far prefers the word ‘enthusiast’ to ‘fan’. “Fan is derived from ‘fanatic’,” he says, “and I don’t think that’s a nice way to describe people who love Doctor Who”. He’s right, in the same way that ‘knuckle-dragging neo Nazi’ isn’t a nice way to describe Nick Griffin. The absence of pleasantries bear no reflection on the accuracy of a statement. William S. Burroughs talks about the Naked Lunch moment – “a frozen moment,” he says, “when everyone sees what is on the end of every fork”. Broadly speaking, time stops and you suddenly become embarrassingly aware of your context; it’s the instant and uncomfortable realisation that what you are doing is ridiculous. It would be lovely to regale you with an anecdote here, the sort of testimony that would neatly encapsulate a sea change, allowing us to finish the article at a few hundred words instead of a few thousand. But there have been no such epiphanies on my personal trail. It’s a collection of moments, a gradual erosion of obsession so that it becomes something different. If I tried hard enough, I could give you some milestones, but that wouldn’t make it interesting. 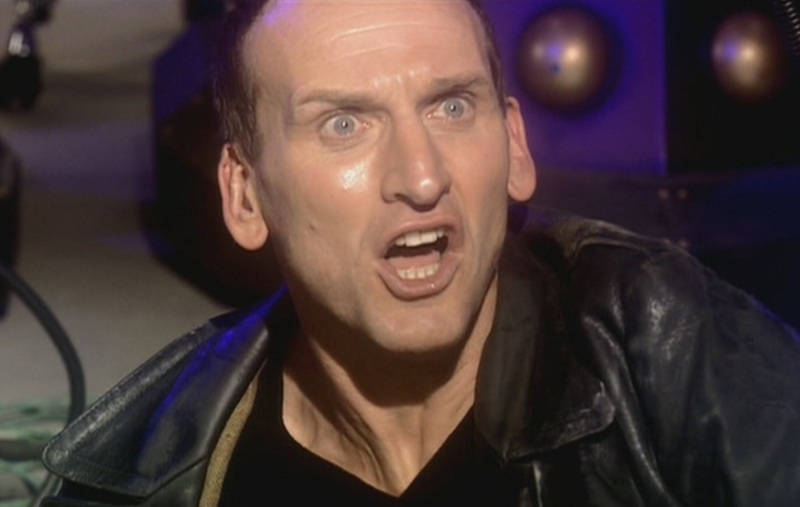 Here’s the point: I have, just shy of 40, reached the point where I’m no longer really a fan of Doctor Who. It’s nothing to do with not enjoying it. I still tune in every Saturday with purpose, and buy the books and read the articles and watch old stories with my children, and I spend far too long on video mashups and poorly Photoshopped memes, and I have been known to take the action figures on excursions so I can take pictures of them on location. No, you cannot see the pictures. Even my vanity has its limits. But something has changed. It’s still a hobby, but it’s no longer any more than that. I no longer care about it as I once did – about the show or its future. I’m no longer in the place where I’m actively worrying about the direction the chief writer takes, about casting choices, about whether it’ll be cancelled. I’m happy for it to ride its course and take it an episode at a time – and while this may be something that many people do already, there are a significant number who don’t, and I recognise much of myself in the people I speak to online. There was an abyss there that I almost toppled into. And my purpose today is to explain that taking a step back might be the best thing for all of us. Still, paragraphs of personal introspection might not be the best way of doing it, so let’s have a list. Lists are helpful. We can break this down into a series of inconvenient truths, and this is how we shall proceed. I do not expect you to agree with everything on this list: it is not a scientific theorem that relies on unity and progression in order to function. It is a collection of bullet points, adding up to a rough total. If you find yourself nodding at three or four of these, that’s probably enough. By and large, I don’t think this is a lesson that the fans really need to learn. But is certainly something that journalists need to learn, within moderation. There is a certain amount of palm greasing that needs to be done if you want to stay on the BBC’s good side, but there is also room for integrity and honesty. We need to be able to criticise without fear of repercussion, and without the need to justify ourselves afterwards. There is also the need for the fans to acknowledge that entertainment journalists do, with certain unnamed exceptions, mostly know what we’re talking about. We watch a hell of a lot of TV. If we think something is awful ask yourself whether we might actually be onto something. I recently went back to An Unearthly Child. It’s very easy to forgive it its multiple sins because of what it went on to achieve. But An Unearthly Child is one-part-brilliance to three-parts-dreariness, primitive man rendered in a series of grunts and cliches and an obsession with meat. I’m not blaming Anthony Coburn; he probably did the best he could under the circumstances. Cavemen stories aren’t big business, historically speaking, because it’s very difficult to actually do a piece of drama where no one could really speak properly, at least in a medium that more or less depended upon it. The situation dramatically improves when we reach The Daleks, but it’s a fallacy to suggest that An Unearthly Child was a simple case of the production team trying to find its feet. There are plenty of blips along the way. The Gunfighters isn’t very good. It’s nothing to do with the demands of a different audience, or the short turnaround time, or the limited resources of the BBC design department. It just isn’t very good. Nor is The Monster of Peladon. Nor is Warriors From The Deep. Nor, for that matter, is Timelash, although it’s not quite as bad as everyone says it is. And yet there are people out there who will not hear a word against it: for whom the idea of a bad story – any bad story – is as alien a concept as the Doctor himself. “There are no bad stories,” I’m told, repeatedly, usually by the same people who tell me there are no bad companions, and that you can’t possibly be a real fan if you don’t consider every incarnation your own personal favourite. But perhaps we can go further. Perhaps we can say that not only is there categorically and undeniably such a thing as a bad story, there were actually quite a lot of them. And perhaps that needn’t be a bad thing. Because we get awfully shirty when we start defending the bad stories – we’ll start harping on that that they’re from a different time, that there is still much goodness in there… look, there isn’t much goodness at all in Time and the Rani, is there? It’s nobody’s fault (except Pip and Jane, but I don’t want to speak ill of the dead); it’s just one of those stories that doesn’t work. But there are scores of people – believe me – that will argue the exact opposite, not necessarily because they can defend the plodding narrative and god-awful screaming but simply because it’s against their principles to dislike any Doctor Who story, even if it’s Meglos. Doctor Who is a series that has become obsessed with its own legacy and it’s tempting to look at every adventure in the canon as playing a vital part in building that up. But what if it wasn’t? What if most of it was just filler, mindless Saturday teatime entertainment for the masses? Would that be such a terrible thing? Let’s be clear about something. There’s nothing wrong with having a hobby, taking up an interest or loving something with a passion. Doctor Who owes much of its longevity to a dedicated fan base who believed in it when everyone else had more or less given up; how far would Russell T. Davies have got had he not had the weight of 14 years of novels, conventions, and Big Finish releases? It is an easy thing to scoff at fans and whatever you’re about to read, I really don’t want to be doing that. It’s the fans that keep the money coming in. Were it not for the fans we wouldn’t have a show, for better or worse, and I wouldn’t have a job. At the same time, there is a level of intensity about fandom that is becoming increasingly unnerving. A few weeks back, I encountered a thread on a Facebook group that perplexed and concerned me in equal measure: a young woman afraid to indulge Jodie Whittaker because, to paraphrase her own words, she’d been watching since the age of 5 and was genuinely concerned that her favourite show would no longer be fun. She wasn’t unpleasant or even particularly judgemental, but she was deeply worried. It’s not just Doctor Who. I’ve read BuzzFeed articles about Harry Potter parties and Disney events that have me scratching my head. Owls and sorting hats and Let It Go singalongs. There are fans who visit King’s Cross Station on a day in September to mark an event that never happened in a place that doesn’t exist, populated by Arthurian wannabes who aren’t real. These aren’t 9-year-olds. Most of them aren’t even teenagers. These are people in their 20s and 30s who frankly ought to know better. 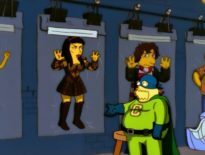 They claim to have been stiffed by their parents but seem to have plenty of money to indulge in cosplay (terminology I adopt with the greatest reluctance; in my day, we called it ‘dressing up’). They baffle me, but I have learned the hard way not to engage with them. Still, the Whoniverse is a comfort zone, and that is where our focus lies. Typically, we reserve our scorn and contempt for the fans who have memorised every episode, the ones with an encyclopaedic knowledge of continuity; the people who are more like Ian Levine than even Ian Levine can manage (for pity’s sake don’t tell him – he’ll start another Twitter rant). The ones who’ll tell you that there is only one correct way of watching the classics (beginning to end, in strict order, including recons); that Colin Baker was highly underrated. They’re half right. But there’s another type of fan. 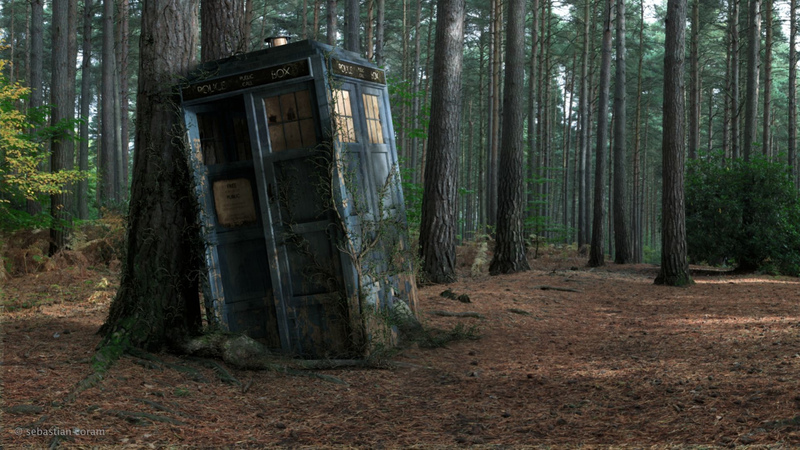 Most bizarrely – and, potentially, most dangerously – there are the types who genuinely seem to live in hope that the TARDIS will land in their back gardens and spirit them away from their wretched, miserable lives. This is not me judging. This is the way these people see themselves, and it is an unnerving place to be. There is an ostrich mentality to this, a need to run away from your life by burying yourself in an impossible scenario, and if it sounds like I’m drastically overthinking this, let me tell you I’m speaking from bitter experience. There is harmless daydreaming and then there is the reckless fugue state of denial. I have lived in the shadow of this desperate clutch for escapism – although in my case it had nothing to do with Who – and I have found it wanting. We can blame at least some of this on social media – on the entire concept of social media. My mother thinks that Facebook has made the world a nastier place, an argument I refute utterly. It’s not that having these things has changed us; it’s just that we’ve changed and modified them to reflect the people we always were: what man is in need of he makes his God, and there was an apparent need among the fan community for a shared space in which you can have a decent bitching session. It’s not surprising and it’s not news, but it is suddenly and alarmingly public, particularly in an age of lazy journalism where a Tweet can make a headline. In that regard, Facebook and Reddit and Twitter are the equivalent of looking down behind you during a bowel movement. You always knew what was going on, and had a reasonable idea of how it worked, but now you’re faced with all the ins and outs in grisly detail, and it is not a pretty sight. Still. Having discovered those ins and outs, you can hardly be expected not to tinker – and it’s probably all right to do so, provided you always wash your hands afterwards. Years ago, I did an internal management interview. I didn’t want the job. I knew I wasn’t really up to the job. But I went for it anyway – we all did – and thought that if nothing else I’d get interview experience. Something wonderful happened: I actually enjoyed it. The pressure was off. I was able to gain good things from the challenges they set me, knowing that I was far behind the leaders, and thus feeling no obligation to micro-manage myself. In Olympic terms, I was Eddie the Eagle. Doctor Who isn’t so different. If you’re not worrying about whether it’s going to live up to your expectations you can find far more to appreciate in each episode. Fear Her is the perfect example: a strange, not entirely successful story with some ridiculous singing, but it’s all I can do not to break into applause when David Tennant mounts that podium. 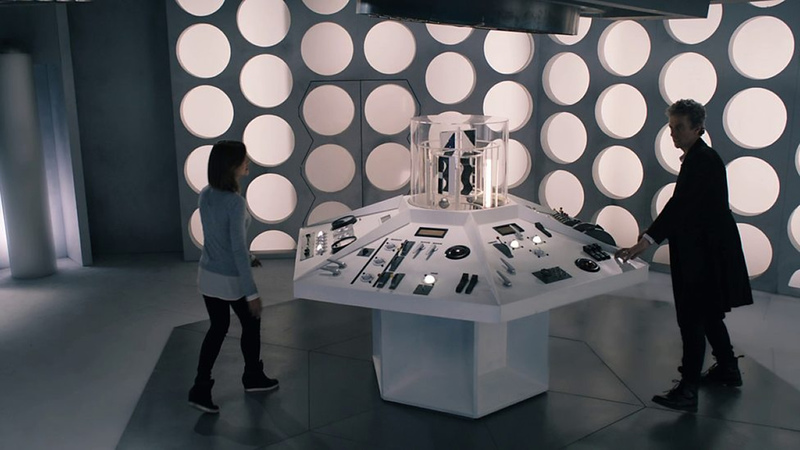 Journey To The Centre of the TARDIS is utterly dreadful, but it is also imaginative and occasionally very pretty. And Death In Heaven… actually, Death In Heaven is sh*t. Sorry, even I have to draw the line somewhere. I wouldn’t mind but she’s a recurring theme: a whole subset of fans who are so paranoid about whether or not they’ll enjoy the new material that they find it impossible to actually enjoy anything, Doctor Who related or otherwise. It’s sweet, in a way, but it’s not healthy. It’s religious devotion taken to an extreme. Enough, I say. Enough. Consider Charlie Bucket. Until the age of 9 or 10, Charlie Bucket received only one bar of chocolate a year. He teased it out so that it lasted a month. Meanwhile, Bavarian stereotype and cardiac patient in waiting Augustus Gloop stuffed bar after bar into his mouth until he could barely taste them, purely out of habit. I have been Augustus Gloop. I once ate seven chocolate bars in the space of a single afternoon. These days I have no more than one or two a week. I enjoy them a lot more. Did the year off do the show more harm than good? That’s a road we won’t travel, at least not today. But it certainly did me good. With one or two exceptions (step forward, Pyramid at the End of the World), I enjoyed Series 10 more than I have any Doctor Who series in years. There are a number of reasons for this, and they’re not all to do with the quality of writing, which has remained inconsistent. The bottom line is that I learned, somewhere along the hard road, to cut the show a little slack. I learned to appreciate what we have, rather than pining for American-length series where everything is written by a committee. And most of all, I learned to wait. And if I can manage that, so can everyone else. I don’t know where we go from here. I’ve read back over everything I’ve written and am trying to work out whether it’s a seismic shift in thinking or the ramblings of an ageing idiot. I suspect it’s neither. Perhaps it straddles the line between sense and sensibility. Perhaps a line is the wrong way of looking at it. Perhaps the gap between extremes of fandom is more like a chasm, and I’m wandering along the bottom, kicking up the dust and shouting into the silence like a prophet, or the sort of crazed madman you cross the street to avoid. Perhaps I’m right about this, or perhaps I’m so wide of the mark that the whole exercise was pointless. Or somewhere in the middle. Pick one. The book of Revelation details dictated messages to seven churches. Some are doing well; others are facing hardships. The worst rebuke is spared for the Church of Laodicea, whose material comfort has resulting in its members lapsing into apathy, managing to be neither hot nor cold. “How I wish you were one or the other!” says the Messiah. “So because you are lukewarm, neither hot nor cold, I am going to spit you out of my mouth.” It is the same sort of damning indictment that we could level against so much contemporary Christianity, and it is with uncomfortable tones and awkward, shifting postures that we read these words in today’s climate. 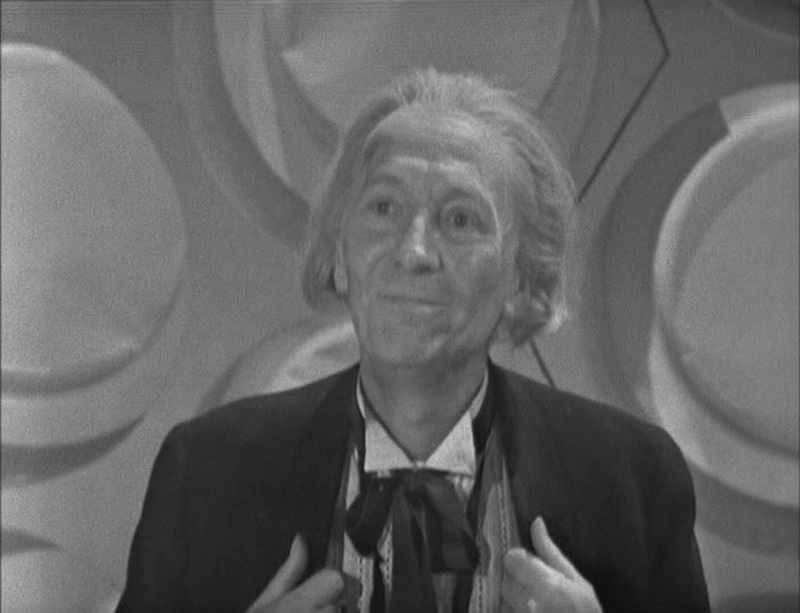 I opened, you will remember, with a testimony about treating Doctor Who like some sort of religion, but regardless of how the conversation proceeded, it’s dangerous to draw the parallel too closely. Obsessive Who fandom is tiresome, depressing, and sometimes irritating as hell – but it’s Mostly Harmless. It’s a TV show. It’s fun and silly and loved by many, but its impact on the lives people actually lead is probably minimal. 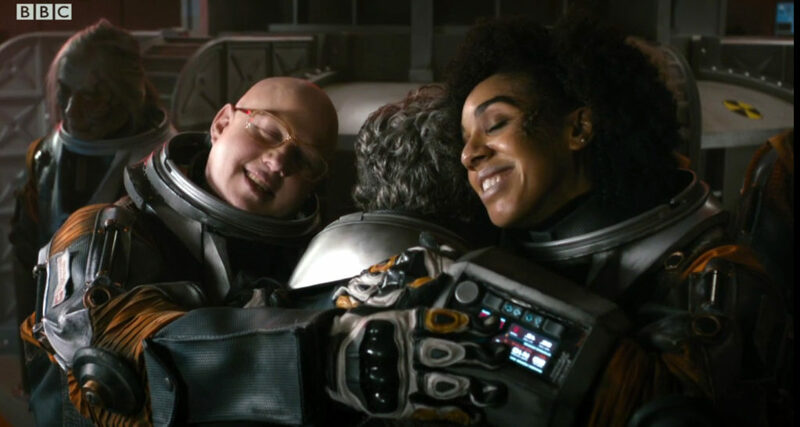 Still, here’s what I’ve been telling you, the fans, and most of all myself: it’s OK – no it really is OK – to not love Doctor Who too much. It’s OK if it doesn’t make you cry. It’s OK if the show isn’t as good as it used to be. And it’s OK to be moderate in your views. At the risk of blowing our own trumpet with some volume, Simon Danes (yes, him again) recently produced a wonderful piece of work for the DWC that said everything I’ve been thinking about fandom over the past few months, applied to one specific area. Moderation runs through his words like a — I was going to say like a rash, but that’s a negative image and I will thus leave it to you to fill in that blank. “I don’t have any strong views,” he says at least once. “We’ll see,” he says elsewhere. Measured restraint, reasoned appreciation, and sensible discussion. The title of his article, if you hadn’t already noticed, is ‘Cautiously Welcoming Jodie’. So perhaps that’s what happens next. 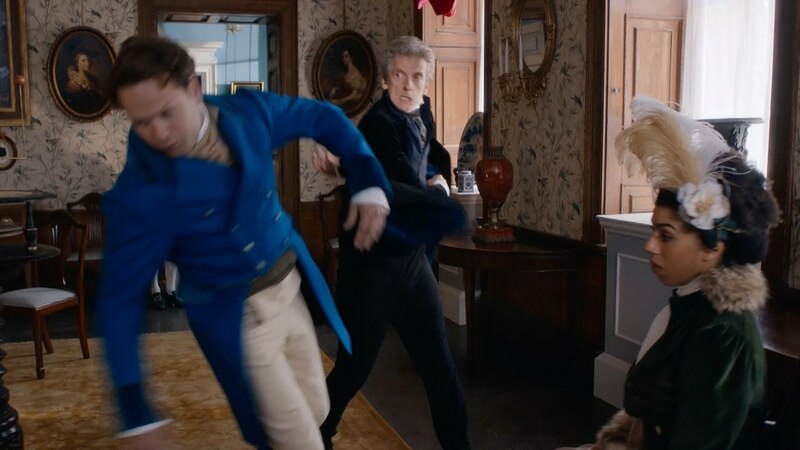 Perhaps the only way to move forwards is to detach from fandom: to accept that Doctor Who is not a great show, but nonetheless an enjoyable one, and one that must be savoured but only up to a point. We can’t allow passion to get in the way – that’s the sort of explanation football hooligans use in their defence statements. We can’t allow our love of the show to act as an excuse for the horrible things we say and think and sometimes write down and sell. Passion is understandable, but compassion is better. 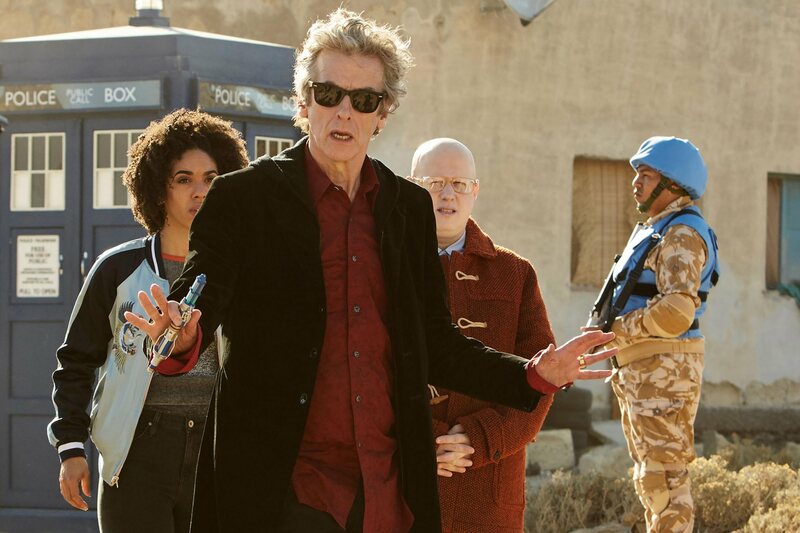 And perhaps the only way to get to compassion is to embrace the show in its wider context by holding the people who create and act in and write about Doctor Who – and yes, that includes the fans – in a higher regard than we do the programme itself. 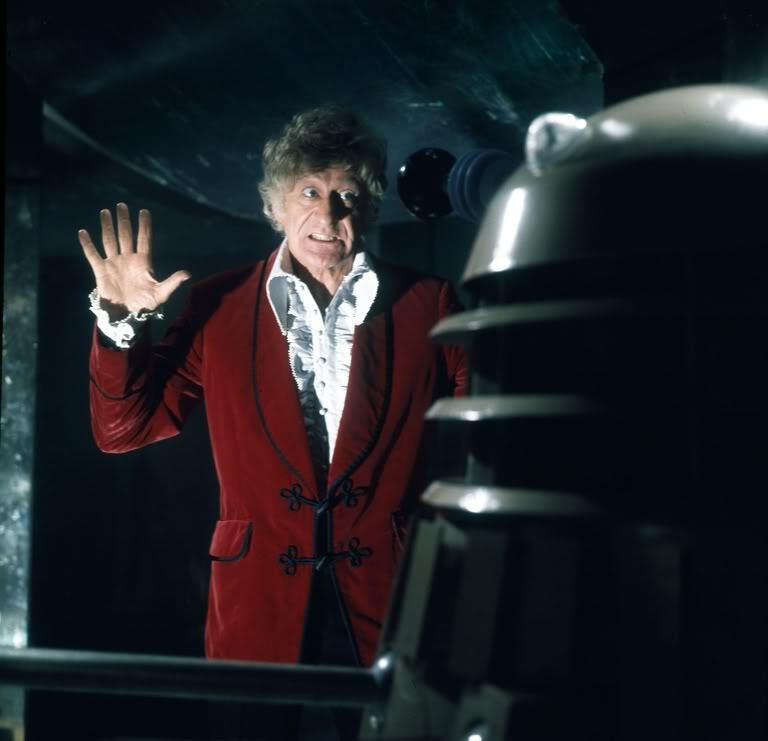 And perhaps then we can go back to this ridiculous, tinpot science fiction show – a show that, it may be argued, is well past its prime, but one that we love and hate and embrace and reject all at the same time – and learn to view it, much like the regenerated Doctor, with new eyes.